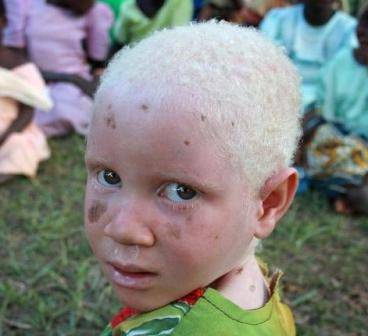 The Association of People Living with Albinism in Malawi has expressed dissatisfaction with the way courts are handling cases involving albino killings, abductions, and exhuming of graves saying courts are taking time to conclude cases. The remark follows the recurrence of such cases in the country especially in the Northern Region where three cases have been recorded this month. Executive Director of the association Boniface Massa said that most cases are yet to conclude and he believes this is one of the contributing factors to the recurrence of crimes against people living with albinism. “We are very bitter about the situation as the cases continue to increase but we believe if judges speed up justice in these cases then other people will learn a lesson,” said Massa. He further said that people have not changed their mentality regarding albinos and his association plans to raise awareness when they receive funding from the Ministry of Disability. The abduction and killings of albinos increased over the past months in the country as some people believe that body parts of people living with albinism can make them rich. Bas mukamakhala mkumat nde mlungu azabwela litiro mkumangopangabe zopusa malo momasintha,timachenjela pocita zinthu koma pali tsiku limodzi lomwe silidzasintha kukhala usiku ndipamene tidzaziwe kut mwana wamunthu wafika tidzat ciyani? Black people complain because of racism. Imagine how albinos feel. Being slaughtered as if they don’t matter. Its these kind if things that make white people think we are inhuman? ?